Two days ago I asked you what I was pureeing up for the little man. Obviously, no one knows their veggies. It was green beans! Everyone seemed to think it was peas (although, he likes those too). I was on the state championship golf team my junior year of high school. Okay, who loves a cookie? I hope you are all shaking your head YES. This is the easiest cookie ever. It is a variation of my Flourless PB & Chocolate Chip Cookie. Well, I was out of chocolate chips and I had coconut on hand, so that is what it turned out to be. It is gluten free and only uses 6 ingredients. Can't be that! Mix all ingredients together. Form into balls, place on sprayed baking sheet. Bake at 350 degrees for 8-10 min. Do not over bake. I guessed right! I LOVE cookies. They are my favorite dessert, but I don't think I could pick just one kind as my favorite. These look delish and easy! Those look like the easiest cookies I've seen! I need to make these! They also look amazingly tasty! Can't wait to try them! Maybe tonight! Question though, did you grind the coconut into flour or just use as is? Yum either way! Also, do you still play golf? You must have been really good! Hopefully you make it out to play sometimes. Ha, I guessed the no smoking! Good for you! I am totally making these tonight, I have all the stuff. My oldest son loves the chewier kind of cookies! My favorite cookie will always be....chocolate chip! Lori - I didn't grind the coconut into the flour, just sprinkle it into the batter and stir! I still play golf, but only about once a year! I would love to play more, just never seem to get around to it, and green fees are so expensive when you don't belong to a club. Just plain old choco chip! The only thing that's better is the dough... especially when surrounded with cake batter ice cream at Cold Stone. That counts, right?? I just got a similar blog up and running. I'd love to hear your comments if you stop by! hey girlie! I'm loving this simple but delicious recipe! i must give it a try soon!! My favorite cookies are GF vegan red velvet cookies!..quite the mouthful to say, haha! but soooo delicious! I hope you're having a great thursday! xoxo! woo hoo I guessed the no smoking thing correctly! ME TOO! Never even touched to my lips. I also would never sky dive. There are WAYYYY too many "accidents" to make me ever feel secure or safe. It's not even anything about heights, b/c I'm fine w/ those. These cookies look delicious. I make similar ones that is 1 cup sugar, 1 cup peanut butter, 1 egg. THAT'S IT! haha My favorite cookies are probably chocolate chip, peanut butter, or oatmeal. The main three - and always warm out of the oven of course!! These look like great cookies - really easy. I definitely want to give them a try. Thanks for sharing! 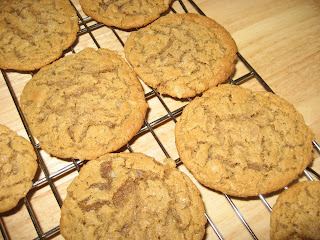 I was google for a coconut cookies recipe, and I found your recipe, and this look so good, must try out soon. And will browse your blog more often. Beautiful cookies! I live for a nice chewy one. My favorite is chocolate chip- just the plain simple goodness! these sound wonderful...i never would have thought to put pb and coconut together! 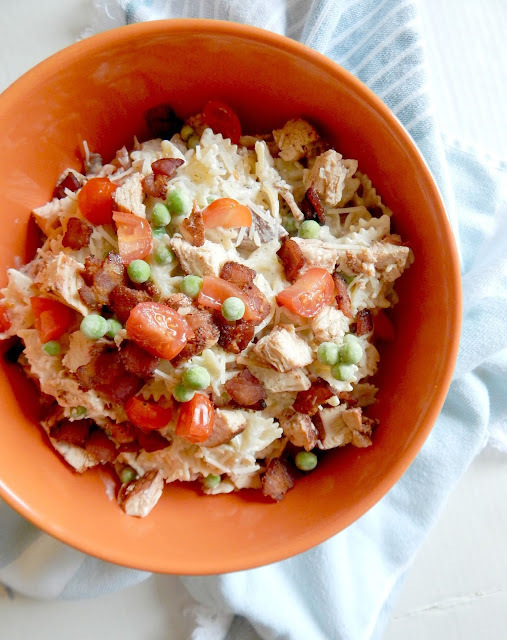 I love this recipe - my husband loves it - my children love it - and it's caveman! Thanks! Just tried these tonight. I have guests over and one cannot have wheat. Not knowing this ahead of time, I scoured the internet for a gluten free recipe that I could make quickly and easily. Found it! What a great recipe. 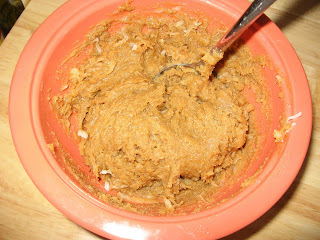 I used natural peanut butter (sugar free) and added cinnamon and salt, and it came out really earthy and yummy. Lovely. Thanks!